This is your chance to see Key West. You will see an amazing place that you've never experienced before. You will have the opportunity of a lifetime to truly see one of the best places in the world. Key West is a beautiful island with beautiful waters that you will love seeing. If you're looking for an exciting time and exciting adventure then look no further. You will see amazing sights that you've never seen and you will experience all of this for a 1890s style schooner boat. This is a Dutch star boat that you will enjoy riding around in. You will get the opportunity of a lifetime to see many beautiful sights and experience the world unlike any other. It is the perfect chance for you to see something new and exciting and bring your family along with you. You'll get to travel the seas and see the best parts of Key West while you are on board. You will get to see some amazing things such as the lighthouse the beautiful waters and other amazing places as well. You will get to enjoy delicious wine and soft drinks and you'll get to see some great nature as well. You can also bring your own snacks if you want to make the experience even more personal. You can also bring family and friends with you for a perfect ride where you see lots of great sites like Fort Zachary Taylor. Get the adventure of a lifetime and truly see a world unlike any other. There are many sailing options and you will love them all as you truly experience a new and exciting world. 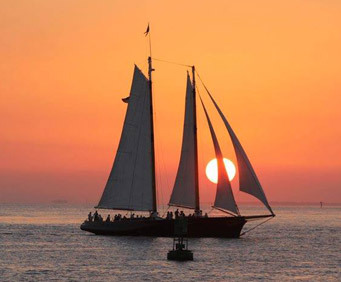 Take to the sea aboard an 1890s-style schooner from Key West! As you sail through the turquoise waters, enjoy views of Key West sights like Fort Zachary Taylor, Mallory Square, Sunset Pier and Sand Key Light Tower. You have two sailing options - sail on the most stunning sailing vessel with wine and soft drinks for $1 each, or on the newest sailing vessel with an open bar of beer, wine and soft drinks. Admire the beauty of Key West from a sailboat on the clear, calm Caribbean waters. 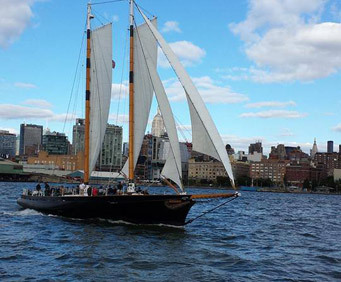 Step back in time aboard one of two 1890s-style schooners - the Adirondack III or America 2.0. Your US Coast Guard-certified captain will hug the pristine coastline, providing you with amazing views of Key West sights like Fort Zachary Taylor, Mallory Square, Sunset Pier and Sand Key Light Tower. Both sailing options are 90 minutes long and have a bar on board. You are encouraged to bring your own snacks or picnic lunch to enjoy on the schooner! As one most stunning sailing vessels in Key West, the 80-foot (24 meters) wooden pilot schooner, Adirondack III, has been entertaining passengers for several years. Relax on the beautiful teak and mahogany decks and admire the authentic finishes as you enjoy the sea breeze and sip on a drink. The Adirondack III has a bar with beer, wine and soft drinks for just $1 each. Enjoy a premier sailing experience aboard the winner of the 2011 Great Chesapeake Bay Schooner Race - the America 2.0. This stunning 105-foot (30 meter) boat features teak decks, mahogany trimmings and padded bench seating. 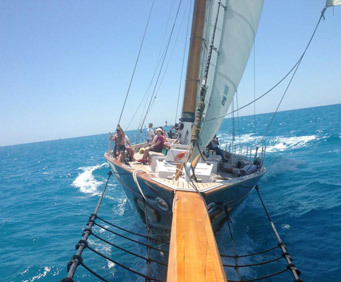 Her 3,600 square feet (334 square meters) of sail will propel you smoothly through the crystal blue waters of Key West. On board, make your way to the open bar for complimentary beer, wine and soft drinks for the duration of the sail.